The Physic Blogger: New Tools!! Recently Poundland released a range of gardening tools that are endorsed by Charlie Dimmock. The tools are at the usual Poundland price point of £1, and there has been some discussion around how good they would be or whether they might just fall apart as soon as they are used. There have been some very unpleasant comments made on social media about not just these tools, but also about the store in general and those who it's assumed fall into the demographic that shop there. Not surprisingly I found that really distasteful, with people's social assumptions coming to the fore, most of which were assumptions that were completely unfounded. I shop in Poundland from time to time!! 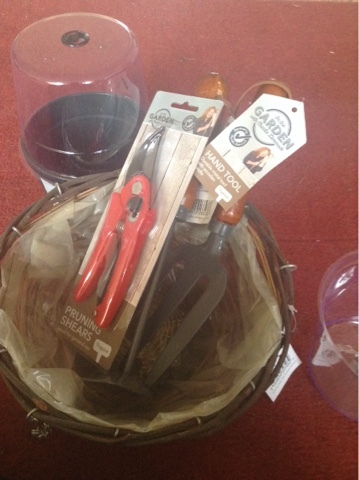 Just to clarify I bought a pair of what are called pruning shears but are basically secateurs, a hand fork, a cultivation/ weeding type tool, a hanging basket and a pair of pots with cloche tops which I was very pleased to see had ventilation in the top. And I was impressed. I began by sowing some of Thompson and Morgan's new Antirrhinum variety, Lucky Lips, into one of the pots that come with cloche lids. 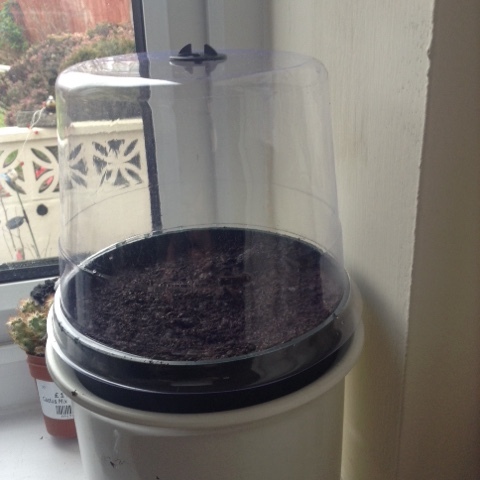 The pots are sturdy and the lids have ventilation which is amazing for 50p per unit. I've popped them onto a windowsill and I'm looking forward to watching them germinate. 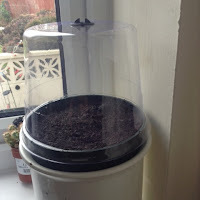 Now I know it's early to sow things outside but I found some Nigella seeds in 2 varieties, Mulberry Rose from Pennards and Midnight from Thompson and Morgan, and I had an area at the back of the garden that really needed addressing. There's a lot of mind your own business in our garden that needs bringing under control, and in this area it's bad, so I used the cultivator and the fork to clear it out. And they did a grand job!! Not only did the fork put up with my very typical Bristol clay beds, but the cultivation tool ripped through bamboo root and pulled it all out, as well as clearing lots of the mind your own business and the cleavers that are starting to germinate. Hopefully that area will be full of Nigella and Calendula in a few months. I also sowed Thompson and Morgan's new Nastutium for hanging baskets, Cream Troika, straight into the hanging basket, which I was pleased to see had drainage holes already and a really sturdy chain. I've popped that into the greenhouse, and hope those seeds will pop through soon, although I hope they'll wait until after the cold snap we keep hearing about. I'm guessing now that some people will be wondering why I have done this? The simple truth is that for many of the communities I work with, and with many people I speak to, the cost of tools is one of the barriers to gardening. Firstly people often don't know what they need, and then when they work that out, having costed it up at perhaps one of the DIY superstores, financially it's just not affordable. Even looking at B&Q's cheaper range, the cost of garden fork, spade, hand tools, a rake and a fairly basic pair of secateurs is at least £50, which is quite a considerable investment, particularly if gardening is something that is not within a person's comfort zone, or something they've ever tried before. For people struggling to pay bills, put a roof over their families head, hold down jobs that might have unsociable hours, and look after families generally, these tools will help break down that barrier and enable gardening to be a part of their lives. In the knowledge that gardening, being outside and taking gentle exercise is good for both our physical and mental health, getting stressed out people out into the garden and growing something, has to be positive for healthy cities. Of course the great thing about the internet is that there is a lot of good information out there about how to garden, on You Tube, in blogs and vlogs. You Tube channels like @10MinGardener and his learn-how-to-garden.com and Sean Cameron's youtube.com/thehortchannel.com are great ways of learning how to garden by following well researched how to type posts on line. There are also lots of bloggers who visit gardens and talk about their gardens which are often truly inspirational too. I have a whole raft of these online resources that I recommend to people and even if they don't have access to the Internet at home, community centres and libraries are great places to access these resources and are all well used here in Bristol. So now I know these tools are also good quality and useable, the work to get people gardening here goes on with another barrier begun to be broken down. Well done Poundland!! They're great-I shall be back for more!! Some of the so-called "Good quality" tools and accessories are actually rubbish, and rely on marketing techniques alone for their success. Paying a lot of money does not guarantee getting good kit! I have found that too Mark-there are some medium range tools that are freankly, pretty rubbish!! I bought a few bits from ALDI the other week, surprisingly good stuff. They have another 'garden' event on this coming Thurs, I shall be back. I like the look of those pots, Sara, good spot, thanks. 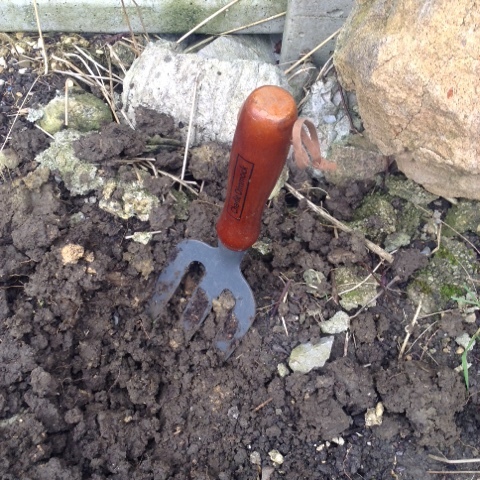 Also the tools are a great buy - I find the kids want to use my tools when helping in the garden and I don't necessarily want them using my copper trowel for digging up stones! Having a stash of cheaper tools means everyone can relax and enjoy gardening which is the whole point, surely. Yes good tools don't always cost the earth. I'm a fan of Poundland and can recommend the bags of clips that attach peas, beans and sweetpeas to bamboo canes. And I have recently tried the copper tape to stick round the top of pots to keep slugs off the plants. I will now round up those pots.